Particularly enthralling are Bedi’s accounts of Indian culture and traditions, while his commentaries on American life, education, and politics are insightful and instructive. 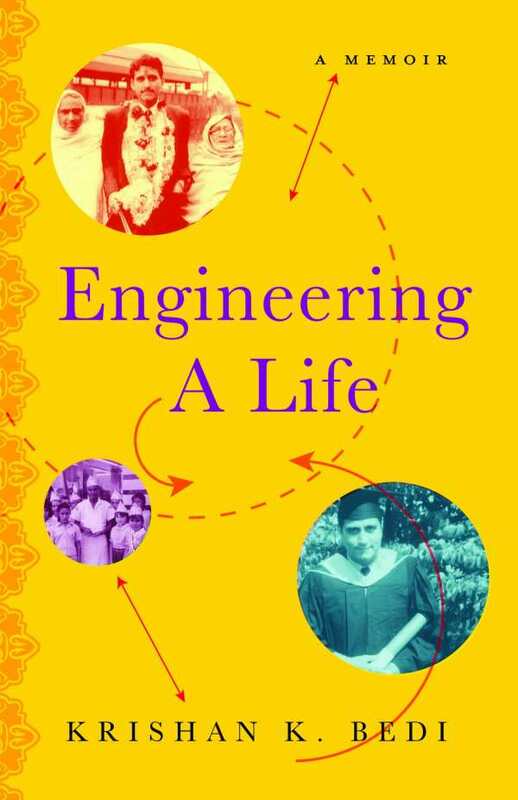 Krishan Bedi’s engaging memoir, Engineering a Life, captures the author’s roller-coaster journey, from growing up in a Punjabi village in India so small there was only one telephone in town to earning a masters degree and becoming a successful industrial engineer in a large hospital in the United States. More than a mere chronicle of the author’s life, this memoir offers personal insights on the author’s bumpy road to maturation, including refreshingly candid descriptions of poor life choices he made along the way—observations likely to resonate with a broad audience. Bedi’s writing is accessible and graceful. His memoir is organized chronologically, so the story flows effortlessly. Vivid descriptions of scenes from the author’s life awaken the senses. It is not difficult to imagine, for instance, the feel of the sari fabrics in his father’s textile shop, the smell of the apartment fire that consumed all his textbooks and notes, or the sound of the police sirens wailing when he crashes into other vehicles driving his newly purchased American car. Particularly enthralling are Bedi’s accounts of Indian culture and traditions—for example, the glorious flower-festooned parade he led on horseback, which culminated in his marriage to the Punjabi woman who answered his advertisement for a bride. Bedi’s memoir is more than a mere reporting of life events steeped in poverty, prejudice, and persecution. His commentaries on American life, education, and politics are insightful and instructive. His descriptions of the travails that immigrants to the United States face are eye opening. Bedi does not shy away from describing personal foibles—his own or others’—nor from thanking others who gave him a leg up when he needed it most. Indeed, he is as candid about people whose cruelty and greed astonish him as he is glowing with regard to individuals whose kindness and generosity touch him deeply, reminding him of his parents’ compassion. He recalls that when he was a young boy, whenever fortune shone on his family, his parents shared food and candy with the poor: “My mother … personified love by placing grain on the ant hills after it rained so they could eat too.” Thus, whenever Bedi comes into a bit of money, he shares it with others, offering a welcome reminder that there is more to life than simply achieving the American dream. Bedi’s is a reflective memoir. Its contrasting descriptions of Indian and American cultures are thought provoking. In addition, the book offers valuable examples of the decisions an ultimately successful person makes over time—the good ones that lead to success and empathy as well as the bad ones that must be overcome. Engineering a Life is a story not only of determination and grit but also of hope. Bedi’s indomitable spirit, positive attitude, and work ethic are a joy to read about.